Monique Quigley’s Christmas this year won’t be like any she’s ever had. 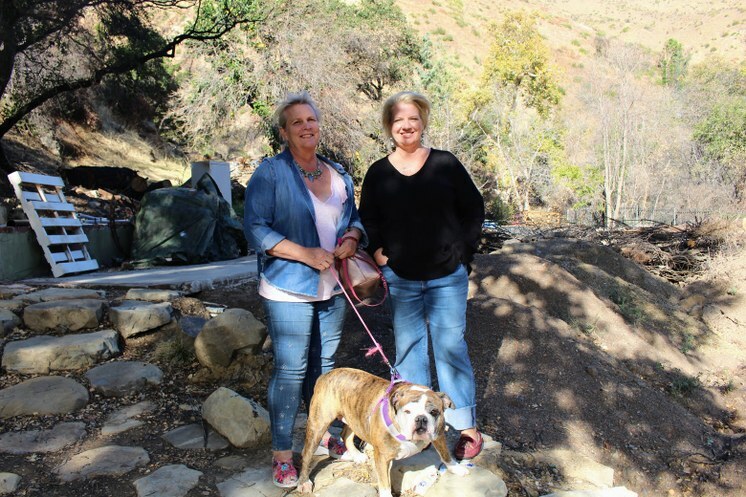 Her home in Malibou Lake burned down in the Woolsey Fire last month. 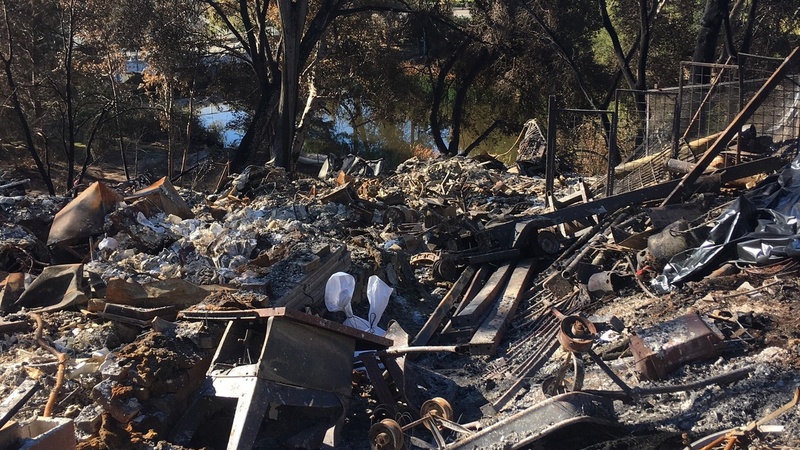 She lost nearly everything, including her house. Dawn Ceniceros knows how she feels. 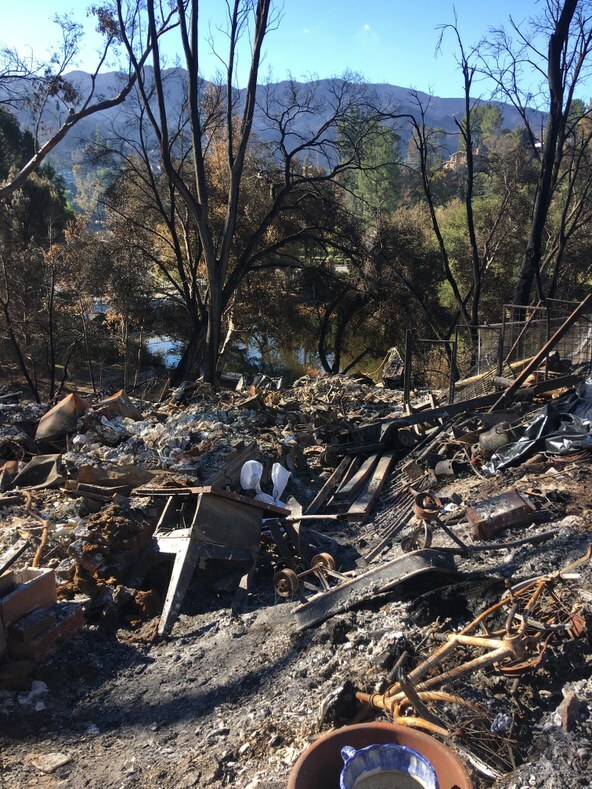 She lost her Ojai home a year ago in the Thomas Fire. Since then, she’s been cleaning up her property, finding transitional housing, wrestling with her insurance company, and applying for permits to rebuild. 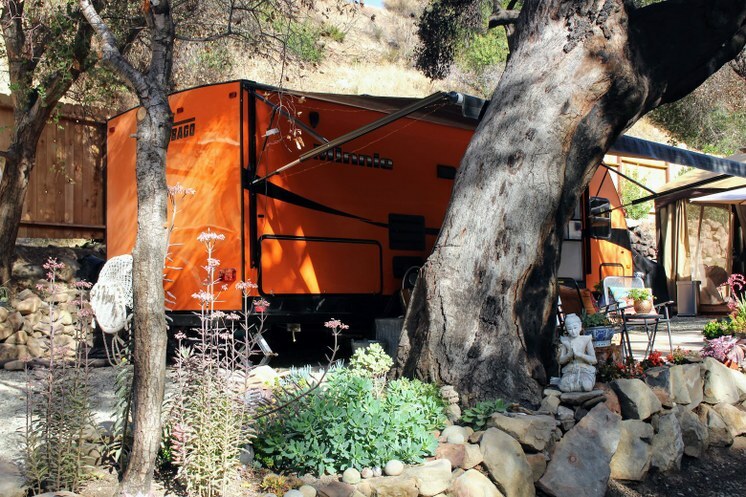 She now lives in an RV as she waits for insurance money to come in. The two women met up to talk about rebuilding, and so Quigley could get some advice. Ceniceros said what bothered her most was when people said it’s just stuff. “I said yeah, my house was just full of Ikea. Forty years of a marriage. Love letters lost. It’s not material things. It's your soul connected to all this stuff,” she’d say back. 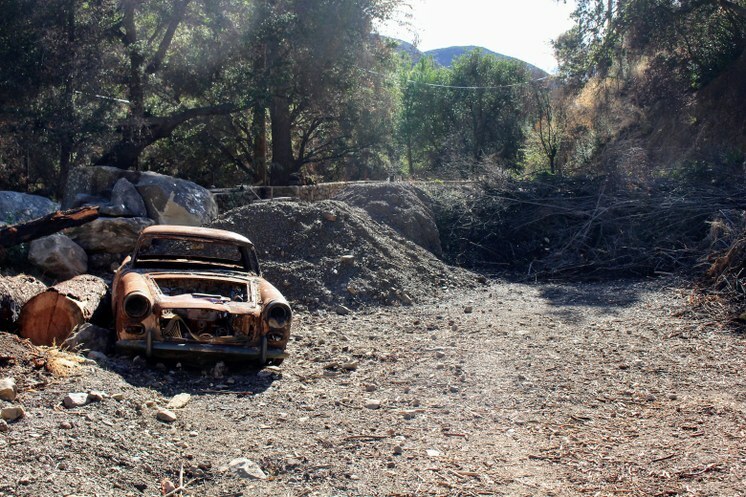 Ceniceros explained to Quigley that the state agency, CalRecycle, comes in to clean up (since their insurance policies don’t cover that), but you need permits from LA County to get the utilities up and running again. And her RV? Ceniceros said she was able to afford it through Help of Ojai, grants, and even a fundraiser put on by Kevin Costner. But in the midst of all that, the women have to take care of life’s other priorities too. “I'm a single working mom, so I have to go to work every day. Compartmentalize. I've got to put all the worry about the fire and stuff away. It’s overwhelming,” Quigley said. A tragedy like this does change your perspective.